I have been reading critics reviews for the past few films by Terrence Malick, and it is interesting to see that the same critics who once lauded the auteur for his bold visions were now criticizing him for being self-indulgent in his filming style. It is as if these very people have forgotten that Malick is not a man who makes movies to tell you what is going on. This is a man who makes movies for you to feel what is going on. He wants you to ponder life not through your brain, but through your heart. 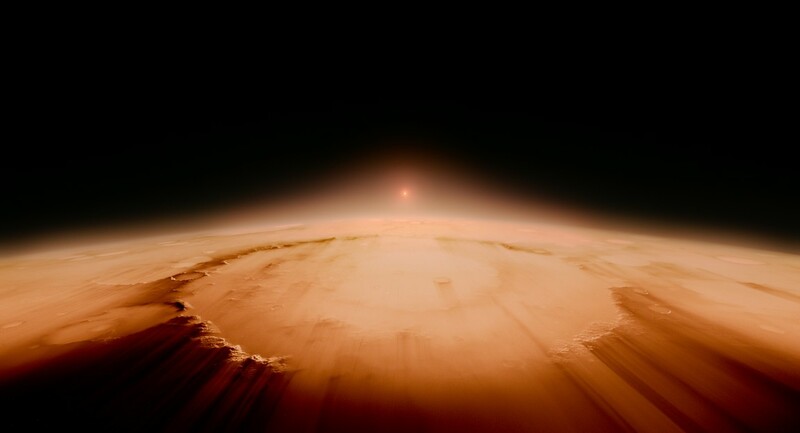 His latest film is “Voyage of Time,” and it is in some ways a continuation of themes he set in motion starting with “The Tree of Life,” and in some ways it is a new step in his grand plan to touch movie goer’s hearts and have them ponder life in an entertaining way. 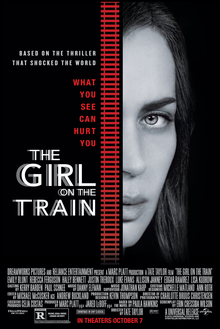 For there is no cast of characters in this movie. There is no story to be found. The closest thing we get to a structure is a narration by Brad Pitt, who seems to be speaking from the point of view of a child having a conversation with God. The narration, it should be pointed out, is more questions than answers. There is a theology at work here that we rarely find in movies. Malick appears to me to be a believer of a divine God who is in control, but unlike other believers appears to accept that evolution may very well have been the process God used to create the universe as we know it. 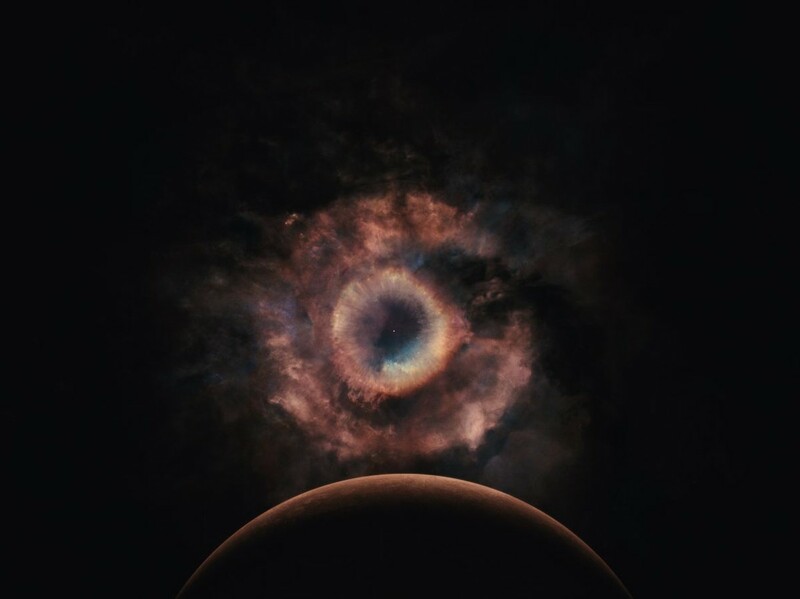 He has filmed the vast majority of the movie with IMAX cameras, with the intention that the audience be engulfed in the images he is projecting. And by God, the images…they seem both magnificently impossible to create yet as real as anything you will see in real life. It is a marvel of visual story telling. And yes, for the time being this is an IMAX exclusive. Audiences may have to look in science centers and museums to find the movie (I can’t imagine your local AMC or Regal wanting to skip a showing of “Doctor Strange” to show this), but the pro to that is that you won’t be finding it on a screen that is size compromised either. The natural (yet majestic) beauty of the film WILL be appreciated! 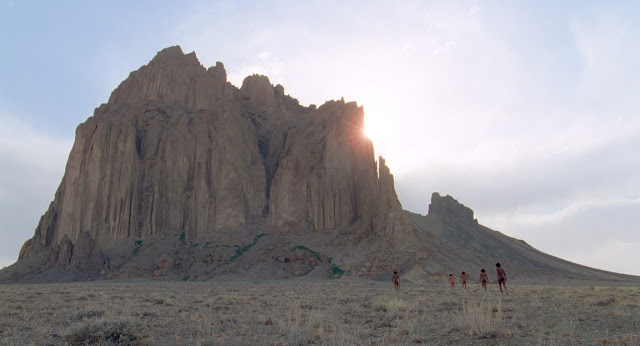 On that note, we need to address that this is the shortest movie Malick has ever directed. At a mere 45 minutes in length, some might question if it deserves to be considered a movie at all. I understand where people are coming from, but to put this on PBS and pretend that the vision isn’t worthy of the big screen experience is insulting. This is a passion project that shows us a man who is constantly thinking about the world, what it means, and actually believes that we as a species are doing pretty good for ourselves. Apparently there will be a 90 minute version of the movie shown in standard cinemas later this year. This version will be narrated by Cate Blanchett and has been cut by the studio and not Malick himself. 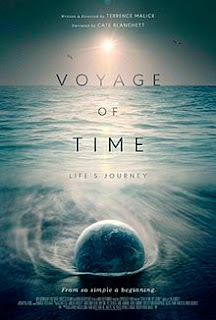 I will eventually see that longer cut, but it makes me wonder why the studio honestly thought this movie needed a mainstream cut of the film at all and what they think a mainstream cut of “Voyage of Time” even looks like? It will be interesting, but at the risk of getting ahead of myself, I believe whole heartedly that this is the version you want to see. It needs to be seen on the biggest screen possible so that the images and sounds can be felt deep down in inside. I suppose a longer version could work, but there is so much to take in, so much to think about, that keeping it short probably works more in its favor. In this case I can see how longer would become self-indulgent. But, as time moves forward, so will I, and I will cross that bridge when I get there.